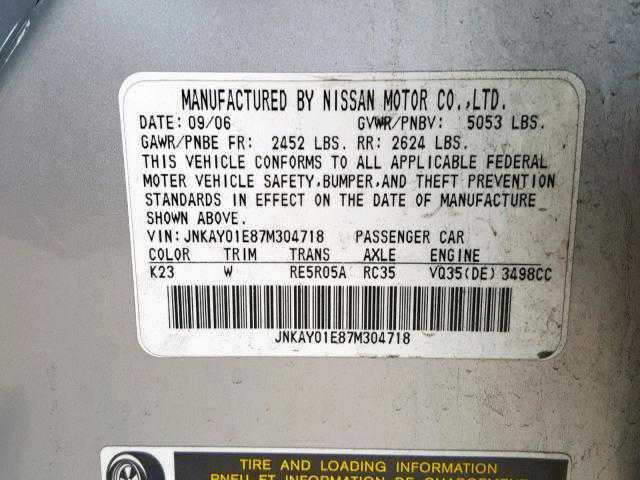 Nissan North America, Inc. (Nissan) is recalling certain model year 2006-2010 Infiniti M35 and M45 vehicles manufactured April 4, 2004, through October 5, 2010. Over time, the accelerator pedal sensor signal may deteriorate resulting in the output of an incorrect signal causing the engine to go into fail-safe (limp home) mode. I'm an outside sales guy in the electronics industry, I've owned many cars, Ford, Chrysler, GM. I drive my cars to the end of their repair life, meaning to a major failure usually it's the transmission. 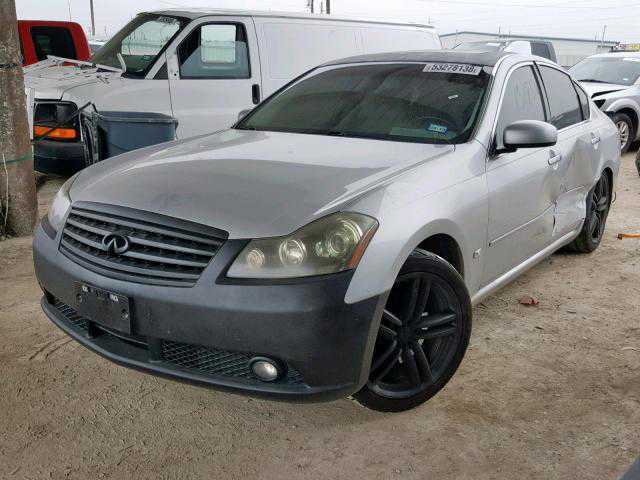 I've never had engine blow, but every American car I've owned had it's transmission fail well under 200k, most around 125k - 150k, not bad but this Infiniti continues to amaze me, no major repairs due to wear. I did replace a CV joint but only because the boot was torn probably kicked up on the road. The navigation algorithms are not so great, it's ok in a pinch, my phone is better. 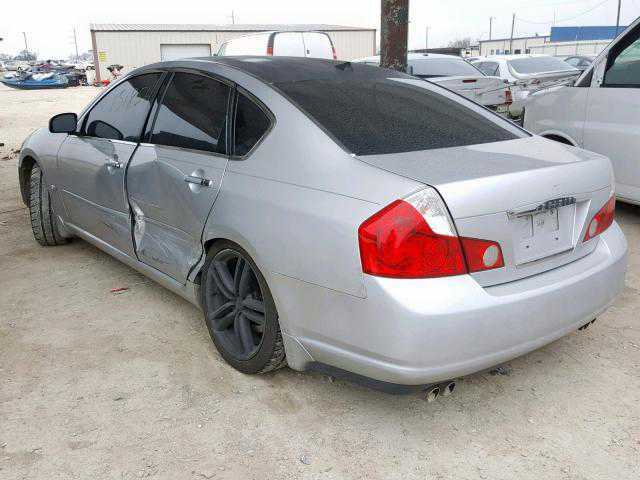 I would buy this car again, or the M37 with low mileage, it will just go forever! I bought the car new and now my youngest daughter is ready to start driving. Except looking like a dad's kind of car show wants her. I have never had any issues with this car. It has been a pleasure to have for all these years. It now is worth way more to me than if I wanted to sell it or trade it in. I would own this car again and again after that. I wish that Americans would build this quality of a car. Purchased new and now have 23000 miles on car. Very powerful and fun to drive. Atractive interior. No mechanical problems. I would recommend this car. This is my fourth Infiniti (3 G's previously), and I couldn't be happier. Bought this '07 with 32k miles about two montha ago and it looks and drives like new. Loved my G's, but they were just a little on the small side for me. I'm a bigger guy (6' 225 lb) and this car fits me like a glove Made the mistake of buying low mileage, used BMW-won't do that again! This vehicle is exactly what I wanted: performance, handling, styling, comfort and (hopefully) great reliability. 2007 M35 base bought new in 02/2008 as a leftover. Now have 62,000 miles. Overall it has been a very satisfying, reliable and fun to drive car. Unlike others here who complain about gas mileage, I have averaged 22.8 mpg on REGULAR unleaded in mixed driving since the car had 1,000 miles on the odometer. My complaint is road noise and tires. Replaced the Goodyear RSA's at 41,000 when the noise got unbearable. Now with Cooper Zeons and another 21,000 the noise is back in spades. Likely will switch to Michelin MXVs. Only warranty issue has been replacing the 4 wooden door trims. Still have not replaced brake pads. Oil changes & filter changes only. Car uses no oil--a real driver's motor. I bought an Infinity 39 month lease turn in. 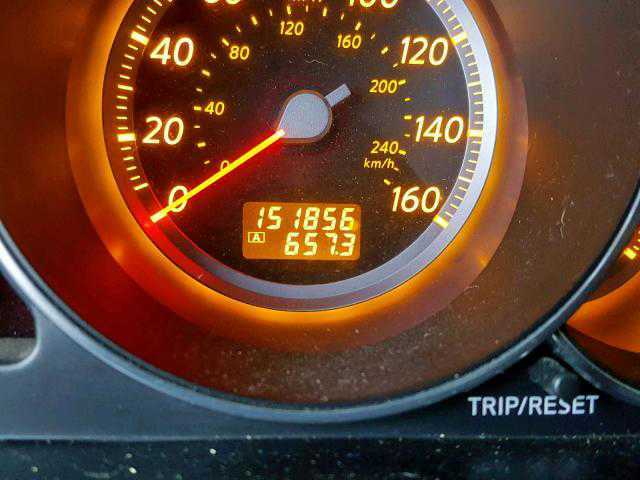 The car was a 09-07 build and I bought her on 04/22/11 with 16.812 miles. The car is a beast, I enjoy every second of driving her. $29k and I got mine with 30k mies) @ Carmax, very favorable experience. Replaced badly worn Goodyears with Hankook's and WOW, what a difference. No more road noise and the handling is only outperformed by phenomenal ride comfort. Perfect balance of luxury and sportiness, comfort and performance. I am completely ecstatic.The level of service from local Infiniti dealer is EXCELLENT too. They treat me as though I bought the car from them. I am so thrilled with everything about this car and the dealers service BEST CAR I'VE EVER DRIVEN. Without question I will buy another Infiniti, perhaps the 2011 M hybrid. This car is a monster. I bought a lease turn in with 16.8 K miles, non smoker car build in 09-07. I'm not too crazy about all the electronic doo dahs but have learned to get used to them. When you step on the gas this car really moves. Many of the reviewers have said the handling improves with Michelins. I put new Michelins on her today, and wow what a difference. Great car, great value. Next car is definitely going to be an Infiniti. My last car was a Japanese made Acura and I was very satisfied with her. I bought this one used after a lot of research. The performance, handling and ride have all be excellent. I've been disappointed by the fuel mileage though, and the dash styling is looking a bit aged now. Backup camera is fantastic, as is the Nav (but screen is a little bright at night). Road noise is high, but I think a change of tires will help that. Big Disappointment - I'm ready to trade! We bought this car for the power, refinement, performance and styling. My complaint is with none of those. It's a beautiful and powerful car, BUT I have been very disappointed in the ride quality and fuel mileage. The stiff suspension and low profile tires beat you to death on the highway. It is not a comfortable car to take on long road trips. When we have to drive any distance we drive my Honda Ridgeline. It has a smoother and more comfortable ride by far. For the money, I expected a lot more than what we got. I've owned the M35 since it was new (almost 3 years). 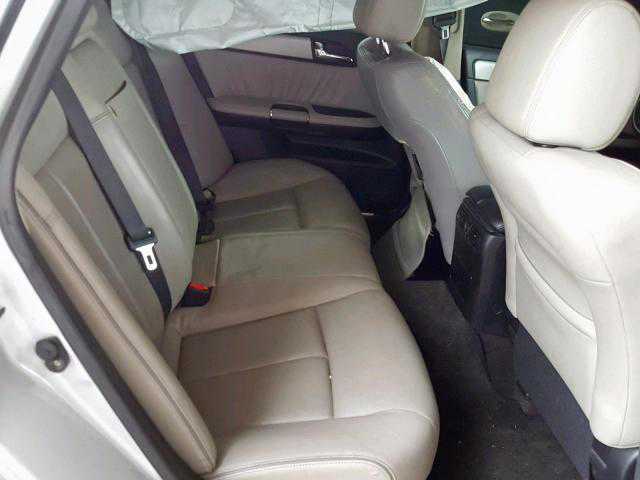 Recently, a couple who each drive Mercedes E models rode in the back seat, said they loved it and asked how much one cost - as if they were interested in buying one. The car has been flawless. It had some road noise, but I changed the factory tires (Goodyear) to Michelins and the noise went away. I was 71 years when I bought a 2007 Infiniti with 31,640 mi.last year 2009.I didn't mind the mileage since the car was driven in and had it's 30,000 mile check.I test drive a 35G and this car and loved the handling and seating of the M35 with all the luxury features,lane alert,rear view, Bose sound and accelleration.The car made great mileage on the highway from CA to CO and in the Rocky Mountains. I love the pearl color and the white seats. I purchased this car new and 2.5 years and 25K miles in many quality issues have popped up. The "genuine" rosewood veneer on the interior of both front doors peeled off due to faulty adhesive and needed to be replaced around 15K miles. The left rear shock developed a horrible rattle at about 12K miles. The dealer just isolated the issue and will replace the shock, but Infiniti will only pay for the replacement of the faulty shock, not both rear shocks. This is the equivalent of replacing one tire. This car has had more trips to the service dept. in 25K miles then my previous BMW and Saab had in a combined 100K miles. I would not buy another Infiniti. My wife and I went to the Inifinti dealership to buy a G37 convertible and she saw this CPO 2007 M35x with the Umbria Gray paint and Bourbon Interior sitting there and she was smitten. We took it for a test drive and were sold. I traded my 2003 FX-45 on the spot and have been very happy. Actually I had traded my 2002 Q-45 on the FX-45 after a bad snowstorm a couple of years back where the RWD Q was a real scary ride. The M has many of the fine feature I missed in the Q but with AWD and much better fuel economy. I know, getting a car like this a worrying about fuel economy is a bit ridiculous. But its a great ride, and after last week's snowstorm I love it even more. My 39 month lease is coming to an end, and I am going to buy. I have never been happier with a car. I bought the m35x with the tech package - black w/Bourbon interior, and I have received so many compliments on this car - even from my friends that drive Mercedes, Lexus and BMW's. The ride is awesome. Great pick up, great handling, and great comfort. I would recommend this car to anyone. So far the car is great, love the navigation and the voice commands. My bluetooth is flawless and clear. The high intensity lights are amazing, very comfy ride with a 3.5 v6 backing you up when you need it. It could be a little more sporty, like the G35 but over all you will turn heads inside and outside the car. So far I am not trilled with the dealers service, I had an acura and I was treated like royalty. Infiniti seems to fight you on every issue and I found most representatives rude (except my sales guy). The M35 is a great value for the money you pay. Psx2 no ipod connection!! Grrrrrr. I got my M35X only because I am 6 foot 2 inch tall and it seemed to be roomy from inside and after driving it for few thousands miles I noted that the engine is very noisy with annoying riddling noise, took it to the dealer and they changed the intake, did solve the problem, changed the exhaust did not solve the problem, so finally they called it a character of the cars and I have to accept that, I will try to trade it for any other car. So my advice is to stay away from any Infiniti. I don't recommend it at all. Be smart and pay a little more and get a better car to enjoy not to spend a lot of time in the dealership or over the phone to work on the car. It is bad bad bad quality cars. I had no interest in this car, looked at it merely to appease my husband. Thought it was too big but after sitting in it, I decided I had to test drive it. After test driving it, I was sold. Nearly 2 years later I am still mostly pleased. I find the exterior design a little boring and sometimes feel it looks like an over-priced, glorified Nissan. 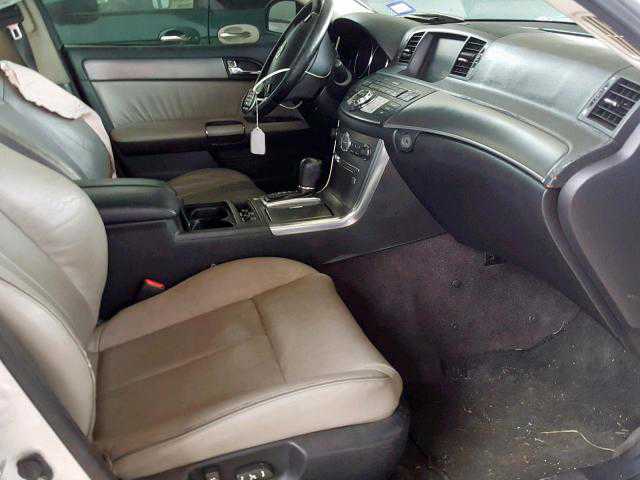 Interior is beautiful, very comfortable and roomy. ISSUES: All my wood-panel veneers (on doors) popped off, had to be replaced. Have trouble with programmed seats (using key), begins adjusting as programmed then just stops. Always had a noticeable miss/hesitation at @ 38 mph, dealer says nothing is wrong. CPO car bought with very low miles. 10,700 after two years. Car looks and drives brand new and I couldn't be happier with the performance of the car so far. It is fast and comfortable and looks sharp. Handles well too and the balance between ride and handling is excellent. Car brings everything it has promised, 2 and a half years later. The performance is outstanding. I have had no problems whatsoever with this vehicle. The car accelerates with ease, handles beautifully at high and low speeds and is one of the most enjoyable vehicles I have ever driven. The ESC and lane departure features keep you safer and I love the GPS. Bought my son a Garmin for his car, and still think mine is better. I love the Bluetooth! I can hear everyone and they hear me. Easy to answer, easy to call and again makes the vehicle safer with the hands off. I would buy this car again and recommend it without hesitation. I had an 05 G and bought the M without ever driving one. Friend had one and loved it. No regrets. Don't see the M very often and I like that. Do wish in town was better than 18-19 but I get over 28 at 70mph. Radio reviews were concerning and does a very good job - have Sirius. Great for highway travel and have had no issues or ever used the warranty. Same with the G.
Bluetooth failure froze console. Nissan, at first refused warranty repair saying my ATT8525 was not on their list. But Bluetooth is a trademark that requires interoperability. Finally they agreed to repair it. This took 4 tries. Then my AC condenser was pierced by a stone. They refused warranty repair because "stone chips" are excluded. This is understandable for paint not for an internal part they should protect with grill work. That's a design defect. Their voice recognition for phone numbers is awful. The gas mileage is lower than a good design could have made it. This car reviewed well and was available used at a good price. On brief test drive it seemed like a BMW 5 series clone and we bought it, anticipating a BMW like car with better reliability. It pleased for a while, but eventually began to feel like a big washy boat when being driven. We also noticed the price we pay for the exceptional headroom inside is a high roof and less front visibility over the hood. This is a good car but I am still paying for it and my wife has already lost her fascination with it. A BMW it ain't, in spite of reviews comparing them. Now I don't know what to aspire to, since BMW has been producing a technically clunky car lately that doesn't crash test well. UPDATE: Back in March of this year I wrote a review of our M35 AWD and complained about, among other things, the poor gas mileage. In all fairness I need to report that somewhere around 9K miles the mileage improved. I now get a solid 21 mpg of mixed driving and 22.5 mpg highway. This is with premium fuel and driving driven conservatively. I still blame the AWD for a 2 mpg loss and would encourage new car buyers to press their dealer for rear wheel drive cars. With modern traction control, there is very little real world benefit to AWD. And given the obvious need to conserve fuel, AWD just cant be justified, in my humble opinion. The nature of this car makes it tiring to drive. Coming from a G35 the M35 is not nearly as peppy. The M feels like a luxo boat taking off. Would prefer the 330HP G37 engine. Besides that, I love the room as I am 6'5''. The M needs another gear (although it looks like the 7 speed will be out soon). The user interface is easy to use. The fit and finish are excellent and love the wood. The other reason I got the M was because of the heating/cooling seats, works ok, was expecting little. The steering is not as tight as the G which is a slight disappointment. Purchase based in part on Consumer Reports review. Considered BMW 535 and MB E-350. No defects to date. Outstanding GPS user interface to all electronic functions. So intuitive no need to read the manual. Laser speed control is absolutely wonderful and works perfectly in all kinds of traffic. Front seats are perfect for 6 footer. Handles like you're riding on rails. Excellent self centering of steering on the highway. Excellent acceleration. 21 MPG. Stereo a bit weak in highs. Road noise need reduction. Brakes are perfect. Add a sixth gear and reduce the RPM (gear ratio) in top gear on highway. Love the rear view camera, exc fit and finish, beautiful design. Would buy again. Does Infiniti make red lemons? This is a follow-up from a previous review in which I described a major engine problem at 5,000 miles. 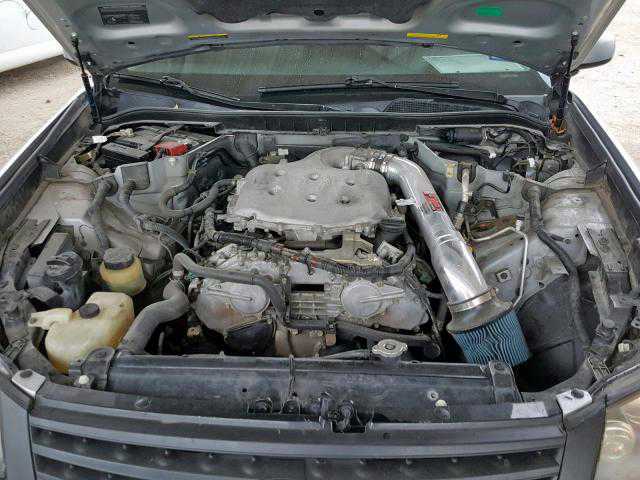 The selling dealership had to repair a faulty main bearing which they claimed was a factory defect. The problem surfaced after a 5,000 mile road trip. At 9,500 miles I began another long road trip. After arriving in Sacramento on Day 1, smoke was coming from the engine compartment. Fortunately there was a dealership nearby. They had to replace a blown transmission seal. In both instances, the dealerships were very good about repairing the problem, but I have lost confidence in being able to go out of town. My question to Infiniti is, do you occasionally grow lemons in all colors? This is a brand new 2007 M35 that had been hanging around the dealer's lot for a while. Not sure why. Perhaps the color, Crimson Roulette. Whatever, it is a great car with every feature I could want (and some I didn't know I wanted or needed). The car came equipped with both the technology and advanced technology package. The surround sound system is OK, the navi is very good, and the overall comfort level is excellent. The ride and the handling is great and loads of fun when taking on the Napa Valley mountain curves. Overall, a great buying experience and a great car. I have 17,000 miles and now my wife wants one. Now getting 26+ mpg on the highway at 70 mph but in town is 16 even when I drive like a grandpa. Bought a used 07 M35x 2 weeks ago after an exhaustive search. The highs are interior, front seat room (lots of headroom for me 6'6" - better than SUVs!!). Fun to drive - tight. Looks great with the possible improvement being the rear. Things to improve. Nav: my garmin is much better. Bluetooth doesn't understand any voice commands (Go Home = Call Mom). I get 21 mpg not great but knew that going in. What makes this car very desirable is 60k mile warranty, tops in reliability and Consumer Reports rating the unchanged 08 model as 2nd only to the LS 460. Bought mine for $31.5k with 19k miles. Couldnt be happier. Using regular gas with no knocking. Tight handling/low clearance. What a fun car to drive I have a big smile on my face when driving my M35. We have tested the X3, Volvo S80, MDX, Avalon, GS 350 and the M35 was the best bang for the buck, roomier then most others in the same class. It seems like that most carmakers make the cars smaller and smaller hope that Infiniti stays with their roomier layout I love the Lexus GS but it is too small for me. I am getting AVG of 20.6 mpg will try manual shifting see if I get a better mileage. I tinted the windows and it looks so cool, this car rocks. The M is beautiful at rest. The interior is wonderfully lighted at night. Automotive art. Start it though, and youd be happier in a Toyota pickup truck. The M is jittery over any road not glass smooth. Steering requires a lot of attention and correction. The nearly constant drone of the engine is unnecessary, distracting and unwelcome. Until you get used to it, you may find yourself double checking your blind spots looking for what must surely be a motorcycle nearby. Barely 20mpg of premium fuel for mostly highway driving driven conservatively. I fault the AWD for at least 2 mpg of that. Anyway, I should have kept my 1999 Lexus GS. Oh, thats right, I did. Thank goodness. Purchased a black M35 with Journey package 10 months ago after looking at Lexus, BMW, MB and Acura. M35 is the best car for the money. Fun to drive. Exterior styling while not "special" still gets a lot of looks. Sneaks up to 85 mph+ with no effort (feels like driving 70 mph). There is an annoying high frequency rattle in the display screen area while traveling on a rough highway such as Texas' "chip and seal" surface. The dealer has not been able to correct the rattle without tearing down the dashboard. Otherwise the car has been fantastic during its first 13,000 miles. Mileage has been low as expected (~18 mpg city, ~24 mpg highway). Restored the fun in driving. Very competitive acceleration, seamless AWD, great cockpit controls, steering pulls and requires constant attention in some driving conditions, disappointing fuel economy, nice back-up camera, intuitive voice recognition system. This is the second rating I've made on my 2007 M 35. With 5000 miles the engine was making funny noises. The dealer had to bring in some experts who diagnosed a failure of the lower bearings. The engine was torn apart and they rebuilt the bottom end. 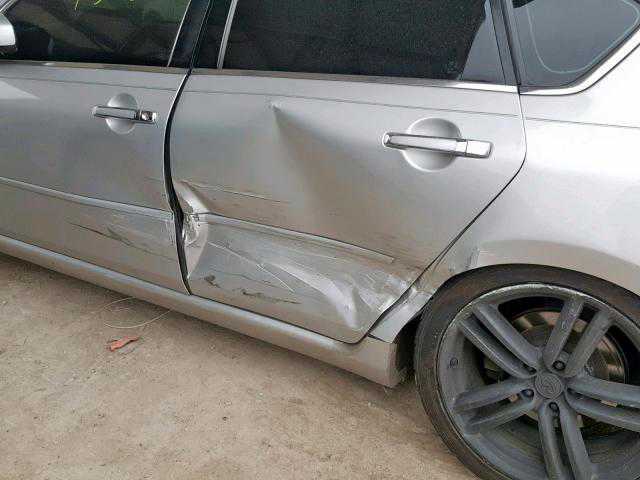 The dealer said is was about a $5000 repair, covered under warranty, of course. The service manager suspected it was a factory defect and checking their computer database, there have been about 10 similar problems throughout the US. The dealer was good to work with. They took my initial concerns seriously and didn't try to kiss it off. They provided a G35 loaner. The car now has 8000 miles and there have been no further problems. I test drove many other choices before purchasing my Infiniti. 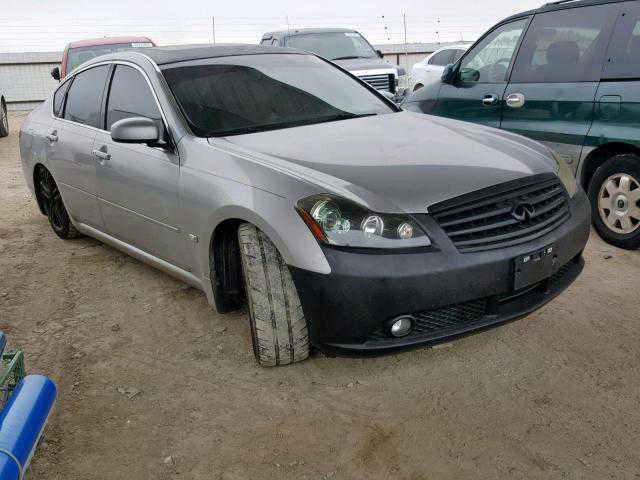 The M35 was the only one in this price range to offer such a powerful and gutsy drive. The car drives smooth, brakes well, and feels secure. It is so much fun to drive and the controls were so easy to master. I have not been disappointed. Bought an M35X with Tech. package, splash guards after comparison with RL, A6, 528xi, STS4, GS 350 awd, MB E350 4M, S80V8, Passat 4M. Best car for the money considering std. and opt. features, driving experience (acceleration, steering, braking), ride, interior and exterior aesthetic design, egonometric design, functionality and legiblity of controls and operating costs. Next best car is MB E350 4M, but $12k more similiarly equipped. Disappointed with gas mileage - 16 city/24 highway (with cruise control) and non-aggressive driving. Very comfortable for long distance driving. Needs 6 speed trans. Engine growl annoying. 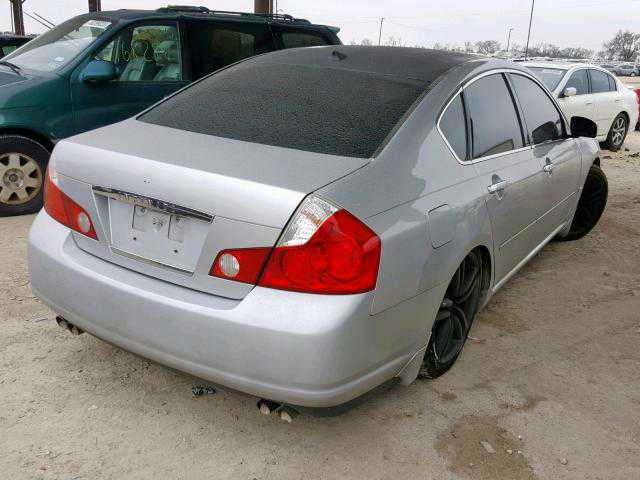 If you are looking to step up from a Maxima or Accord you will not go wrong with this car. Fun to drive, great performance and handling. I am 6'2" 240 lbs and very comfortable driving this car. Nice lines well built inside and out. Gas mileage is not bad considering it has AWD and great acceleration. Best value in it's class. Purchased an M35 with the Journey and Tech packages in early September. Just hit 1500 miles. This is a fun car to drive. The gas mileage is horrible (worse than some SUVs). Sticker said 18 mpg in city, even with very gentle driving I only get 15 or 16 mpg. Road noise and engine noise are a little more than I expected but not bad. Could use an extra gear. If you step on it to pass at 65 mpg, you're not really going to go anywhere fast. Only have 2000 miles on it but am loving it. Gas mileage is terrible but I knew that before purchase. Excellent interior, very impressive. Exterior not as unique but still nice. Very happy with the buy. No other equivalent car at this price point. The car feels like it was designed to impress car testers rather than real world driving. I traded from a 10 year old BMW 540i and would take the old car back in a minute. The V8 BMW got 20% better gas mileage and rode better. The M handles better than the BMW but at the cost of a very harsh ride, loud tire noise and VERY twitchy steering. The car has no "on center" feel and you have to constantly apply steering input to keep it going straight which is very tiring after an hour of driving. Considering the price, I can live with everything but the steering. Make sure you take a long drive on the freeway before buying. Otherwise a great car $10000 cheaper than the competition. I have 6K miles on it and have enjoyed every mile that I've driven. Ivory pearl with tan leather and wood looks beautiful, but the leather gets dirty very quickly. The car handles great and when you go too crazy, the stability control kicks in just in time. I had to replace the windshield after 300 miles because the first rock that hit it caused a crack all the way across. M35 for 22 months: Pearl with tan interior (looks larger than the darker ones). Get a bra. Still feels new. Can't wait to drive it every morning. Wax it once a week. Better at high speeds - 100 MPH sneaks up on you. Plenty of HP - makes you want to do things you shouldn't. Mileage better than expected: 20 MPG around town (40% fwy 60% surface streets); 26 MPG averaging 79 MPH Chino to Vegas or Fresno. Really fun on Interstate 15 past Barstow. E350 , 525i RL and A6 were the other choices. Glad I got the M35. What would I add? 6th gear for the highway Automatically locking/unlocking doors. Good and bad, good wins. Fun car to drive. Excellent acceleration. Transmission crisp. Car handles very well for an AWD car. Battery was dead 2 hours after delivery. Incredibly, seat climate control fan does not turn off when the car engine is shut down. The fan drained the battery. This is an incomprehensible flaw. Floor width for feet is too narrow for big feet. Nav is easy to use, but typical of these systems, it is rife with errors on street names. It even has the wrong designation for a local interstate highway. It has mislocated the car off the road twice so far. These systems still have a long way to go. Car should be quieter. Mileage okay so far. Flaws do not distract from an otherwise excellent car. Enjoy car. The seats are exceedingly comfortable. The handling is fabulous for a 4000 lb vehicle. 6 speeds would be better for gas mileage. I average 20.5 in mixed driving. The transmission does downshift too readily, but you can override this with the manual. Bluetooth and nav are great and easy to operate. Don't use monosyllabic words/names for voice recognition with phone calls, it likes to substitute numbers sometimes. Great vehicle! I tried very hard to replace my G35 with a german automobile (bmw, mb, audi) but I just could not do it. (That 3 series turbo is really sweet.) Infiniti is doing as good a job for a much better price. 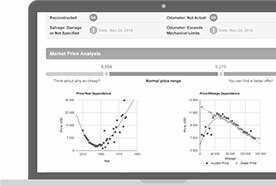 Why pay more for equivalent product? M35 is a sharp looking car with a sweet engine, a nice ride and a beautiful interior. The Rosewood with graphite leather is impressive to behold. Gas mileage is not really good. Plenty of room throughout, unless you are a very big person you should find this car's size suitable. If you desire a really nice car for a fair market price (they are in business to make a profit after all) then look at an M35. We just purchased an M35x with AWD. So far we are satisfied with this car. It's fun to drive, the engine is extremely powerful, and it's very comfortable. Compared to other sedans in its class the M is probably the best value for your dollar. It has a high resale value (not that we want to get rid of it) and it's got all the features that the competitors offer for a much better price. So far the only complaint with this car is the gas mileage. But that was to be expected and so it doesn't come as a shock. So overall I would say that this is a great car. We already have one SUV so a sedan with AWD is just what we needed. This is a great car to own. Very very smooth drive and beautiful interior design. Seating in the buckets seats feel very comfy. The only negative mark is the fragility of the outside body. You should expect a lot scratches and bumps.